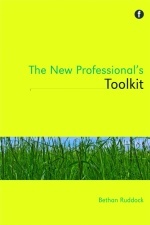 Welcome to the New Professional’s Toolkit website! I’m Bethan Ruddock, editor of the Toolkit, published by Facet Publishing in the UK in May 2012 and Neal-Schuman/ALA in the US in September 2012. The Toolkit aims to support new professionals and help them develop themselves and their services. It draws together case studies on various aspects of Library and Information work, aimed at new professionals and supported by exercises, hints and tips, and further reading. This site is the online presence for the book, and includes additional resources, contributor profiles, and blog posts, telling what it’s like for a new professional to edit their first book. There are also interesting and informative tales from new professionals about their first month in a professional post. You can order the book through Facet (discount for CILIP members), Neal-Schuman, and Amazon.